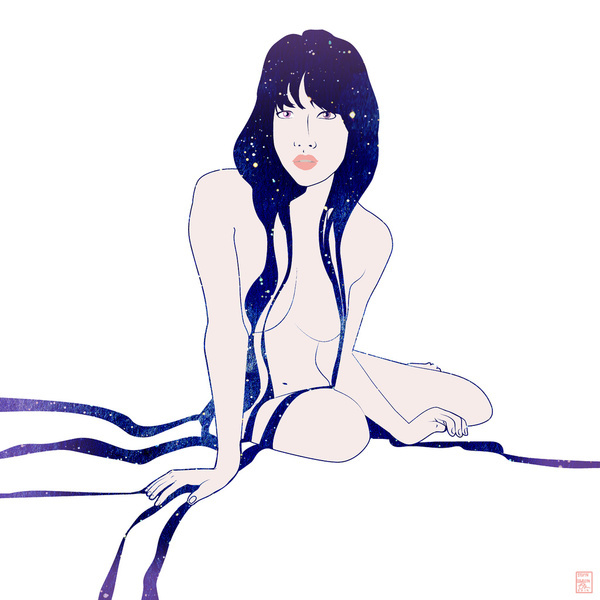 A cosmic goddess by artist Stevyn Llewellyn, created with vector lines and hand painted watercolor, available here. Nuit, the Egyptian Star Goddess by artist Stevyn Llewellyn. This is an image of my original oil painting on wood panel, depicting the goddess with Osiris and Isis in her celestial womb, available here. 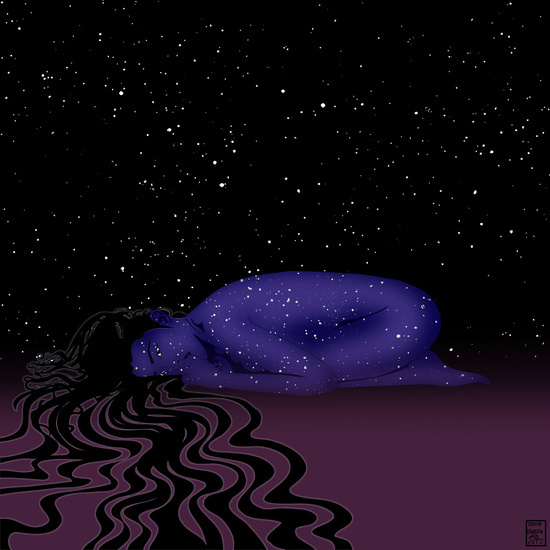 Nuit, or Nut is the heavenly goddess in ancient Egyptian mythology, depicted in ancient paintings in tombs, her body is shown as the night sky, and her hands and feet reach down to touch the earth. Nuit is one of the oldest gods in the Egyptian religious pantheon. Nuit’s symbol is the ladder, whom the god Osiris uses to enter her realm. This symbol was also used to protect the dead. During the night, The heavenly bodies of the sun and moon would be swallowed by Nut, then reborn at dawn. 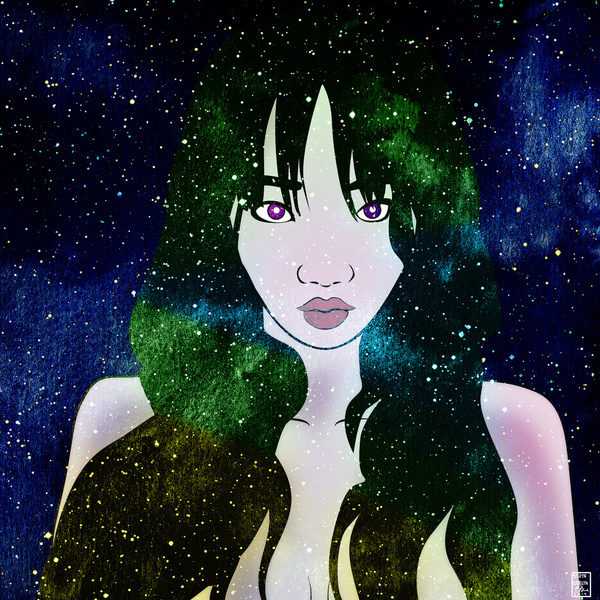 Her body is depicted black and full of stars. Nuit, the Egyptian Star Godess by artist Stevyn Llewellyn. 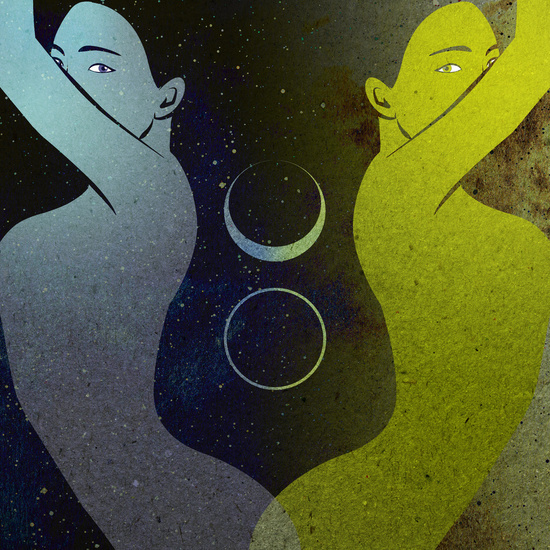 Nuit, or Nut is the heavenly goddess in ancient Egyptian mythology, depicted in ancient paintings in tombs, her body is shown as the night sky, and her hands and feet reach down to touch the earth. Nuit is one of the oldest gods in the Egyptian religious pantheon. Nuit’s symbol is the ladder, whom the god Osiris uses to enter her realm. This symbol was also used to protect the dead. During the night, The heavenly bodies of the sun and moon would be swallowed by Nut, then reborn at dawn. 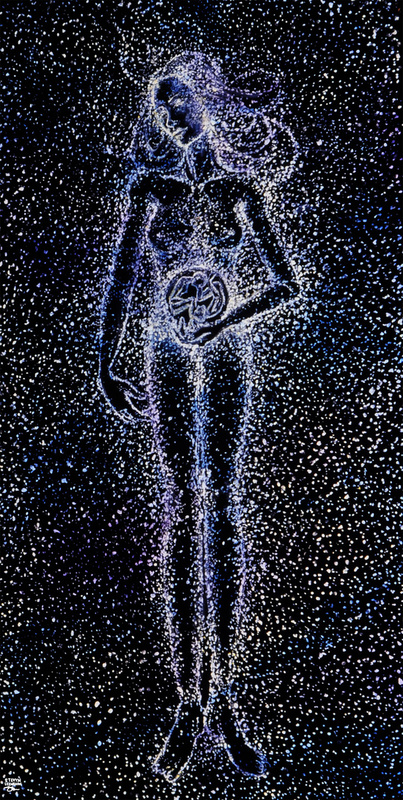 Her body is depicted black and full of stars. Available now for sale here. A cosmic beauty with a flowing star-filled mane by artist Stevyn Llewellyn available for purchase here. Skins are thin, easy-to-remove, vinyl decals for customizing your laptop . Skins are made from a patented material that eliminates air bubbles and wrinkles for easy application. Get yours here.